Sichuan is famous for Wuhou Temple, the Temple of Liu Bei and the ancient Shu Han Dynasty, dubbed the "Holy Land". 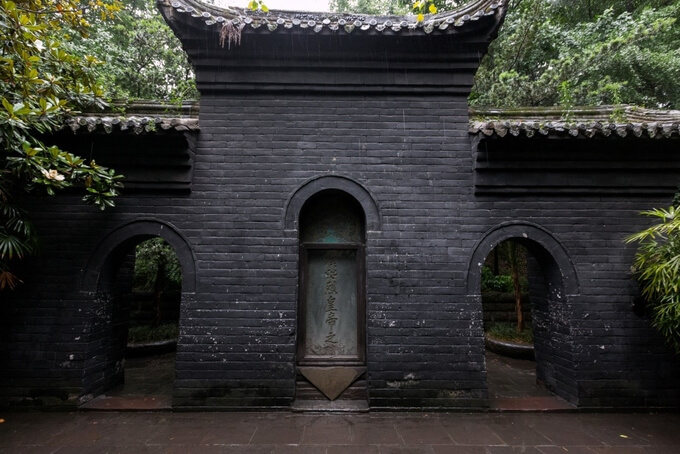 Wuhou is the common name of a complex of monuments including Han Zhao Temple (Temple of Liu Bei), Hu Ling (Liu Bei Tomb) and Zhuge Liang Temple. At first, the temple and tomb of Liu Bei was built in 223, shortly after his death. 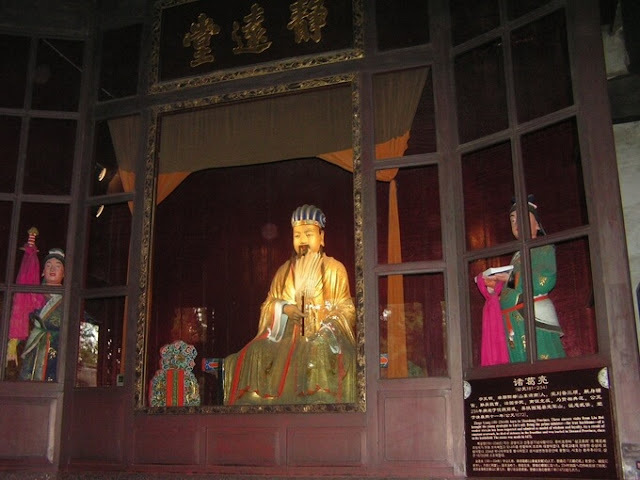 Later, King Hung, King of the Han, built Wuhou in the campus, to worship Zhuge Liang. The Han Dynasty was a small country during the Three Kingdoms period, in present-day Sichuan province. King Ly Hung was in the crown between 303 and 334. The temple was burnt during the Late Ming Dynasty, when Cheung Ching's rebels entered Chengdu in 1644. Later, the temple was restored in 1671 - 1672, under the Qing emperor Kangxi. In 1961, the temple was recognized as a national key point of China. Wuhou is from Chengdu, capital of Sichuan province. The province is located in southern China, a plateau surrounded by rolling mountains and large rivers. Li Bai's " difficult road toShu Han” has the sentence "The road to the Shu Han is harder than to heaven" meaning the road to this place must cross the majestic mountains with rugged folding mountain passes. If you want to experience the thrill of sitting in a car, you can take the bus from Lijiang to Panyu. This drive lasts 12 hours, on the way visitors will admire the Yangtze River flowing with mountain scenery characteristic of Sichuan land. 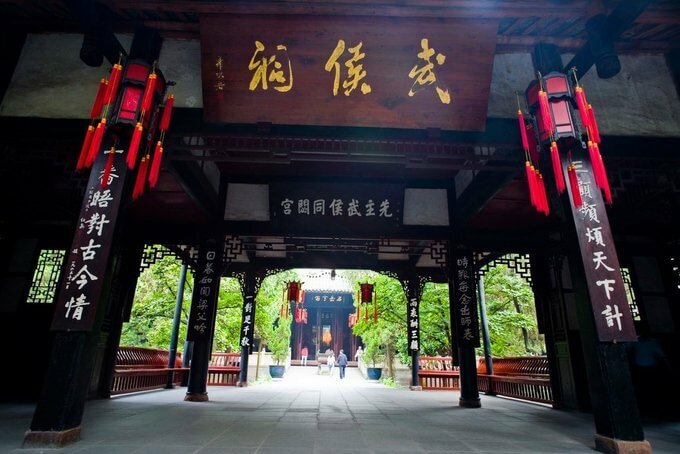 Wuhou has an area of over 15,000 square meters, including Liu Bei's shrine, other statue-hall passages during the Han Dynasty and Zhuge Liang Temple. The relic has 5 gates, and gates run from north to south, and visitors can easily see from one side of the gate to the other. 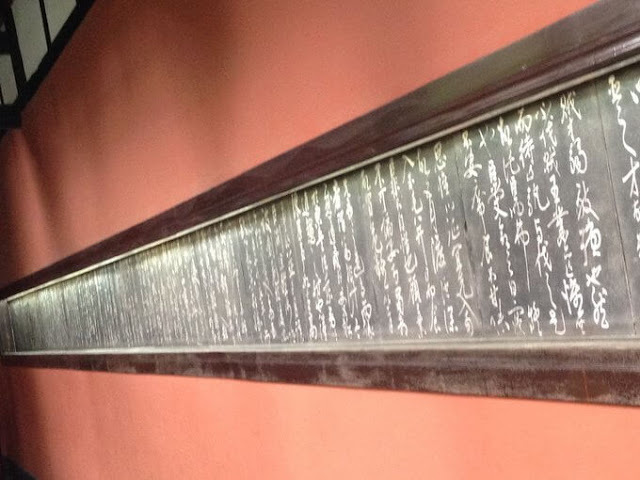 Step inside, visitors will immediately encounter two calligraphy engravings on 37 slabs of stone, each plate is 63 cm high, 58 cm wide, is the output of the lecture and the post Master of Zhuge Liang. Stepping through the first gate, there is a plaque called "Ancient Wisdom" (ie, "my brightest king saved the goddess"). This is the outer zone, in the east and west corridors, and placed 47 statues of important Shu Han emperors helping Liu Be to build the court. The corridor on the left is the mandarin, on the right is the martial artist. Beneath each statue is their name and the typical feats of each. Colored lively statue with exaggerated expressions, with big eyes looks straight down visitors. Some statues also have clear gestures. Facial expressions are similar to those of the famous Shogun mask - capable of transforming, flipping, transforming faces fastly. Between the front gate and the second gate are 6 stone steles about 3 m high. Among them is the most famous of the three fine beers, including three valuable historical heritages of China: a poem, a calligraphy and a print engraved by craftsmanship craftsman Lu Heng. Through the second gate is the temple of Liu Bei. In front of the gate hang a large sign with the words "Han Zhao Liao Shrine" (meaning "Temple of King Han Dynasty"). Liu Bei Temple was built higher than other temples in Wuhou, with a pedestal carving of dragons and clouds in front, showing Liu's emperor status higher than other generals. 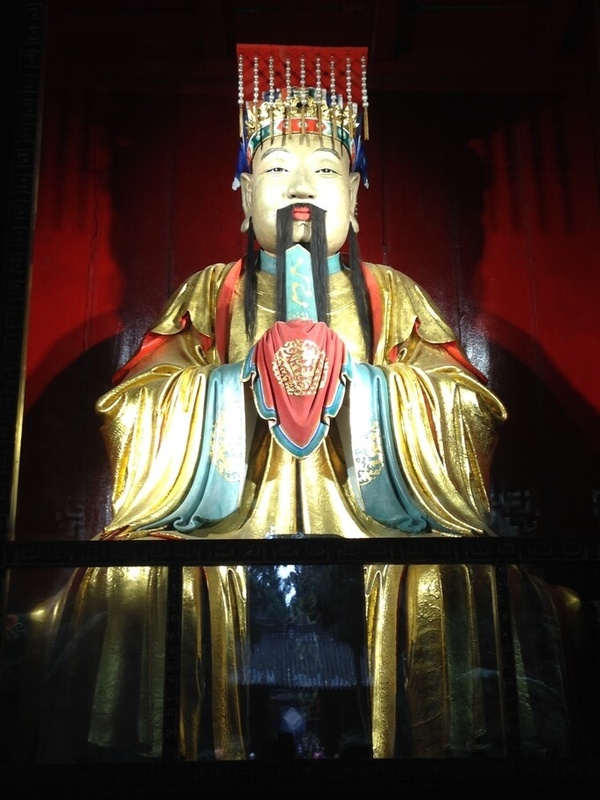 Inside the temple, you can admire the statue of Liu Bei gold-plated 3 meters high in the middle. However, this is not a true portrayal but an imaginary image taken from a book. 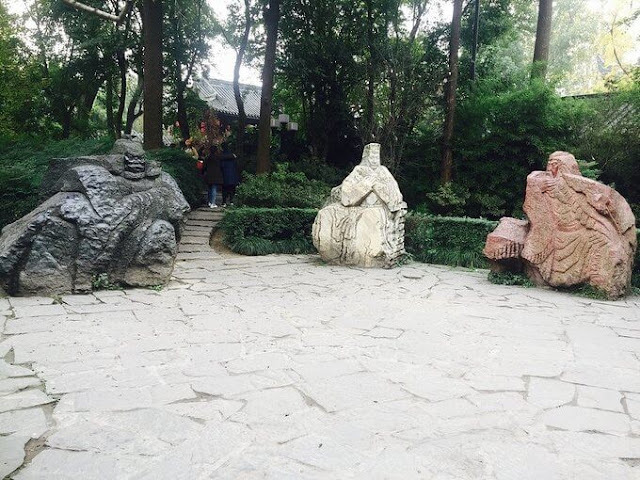 To the right of the Temple is the statue of Zhang Fei with her children and grandchildren. Statue of Guan Yu and Quan Binh's son and General Chu Thuong are located on the left side. 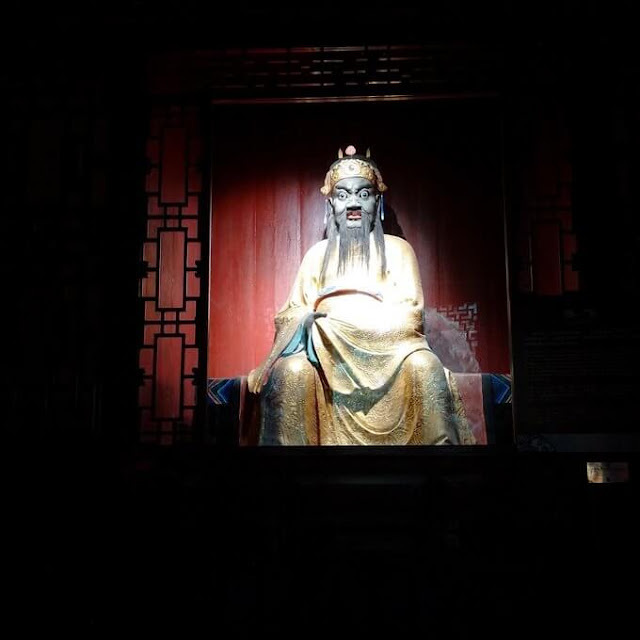 Get out of the temple of Liu Bei and pass through a small hall to the Zhuge Liang Temple. Zhuge Liang Temple is slightly lower than the Temple of Liu Bei. Inside the gilded statue of Zhuge Liang, holding a goose feather fan. In literature and art, Zhuge Liang is described as a person cherishing the feather fan as a pearl, always holding in his hand. Zhuge Liang lightly shuffled the fan, expressing calm self-confidence, , always holding on to the win. In front of the statue are three bronze drums decorated with flower motifs that are said to be the battlefield of Zhuge Liang. 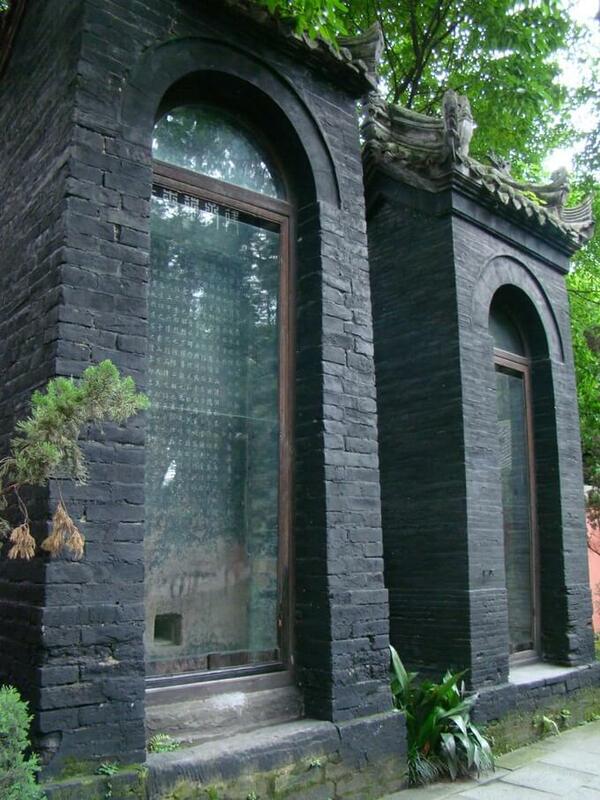 Going through a quiet passage with two sides of red brick wall shady is shroud of Liu Bei, also known as Hui Ling. Hue in Chinese means good. In Chinese belief, the position of the tomb is extremely important. It is believed that if the ancestors were buried in a land with good feng shui, their offspring would prosper. Zhuge Liang personally selected the position of Hui Ling. In front of the tomb, there is a sign saying "makes people respect forever”, taken from a verse in the poem by the poet Liu Wuk Tich. Go inside, you can admire the clay statues of three generals sitting quietly but out of the characteristics of each person. Different from the statues at the front temple, the statues here are in plain clothes rather than the court, in order to promote the brotherhood of the three members of Liu Bei, Guan Gong and Zhang Fei when they were in difficult situation long time ago. 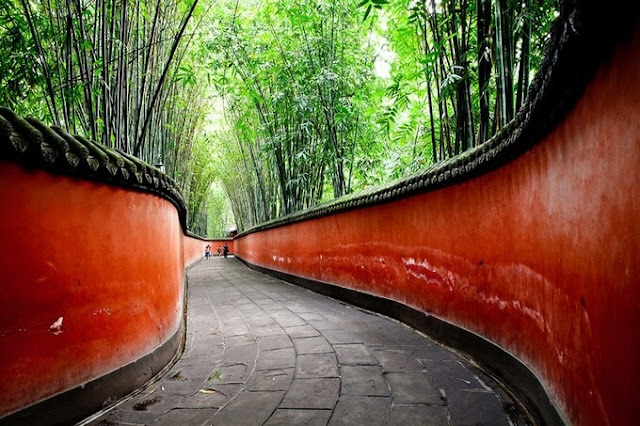 Most travelers walk around the ancient town of Cam Ly after visiting Wuhou because of its ancient Chinese charm. Stretching more than 500 m, Cam Ly ancient town bustling crowded from the Qing Dynasty. You can admire the glamorous beauty of the old buildings and find handmade souvenir shops, as opposed to the modern bar and restaurant next door. Moreover, you can enjoy the taste of Sichuan tea and transplant drama. 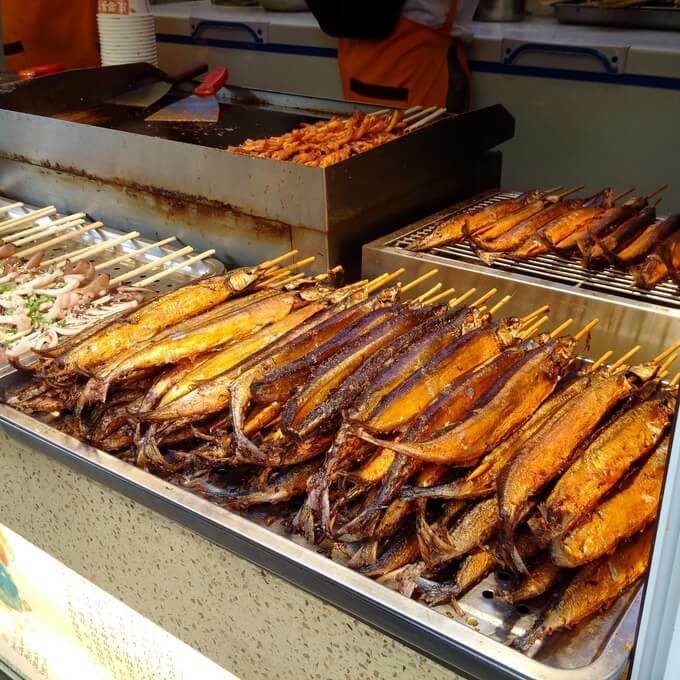 Besides, the variety of dishes available at the side street shops will give you an enjoyable experience of Sichuan cuisine. Wuhou and Cam Ly seem to still retain their spiritual values from the Three Kingdoms. Watching the lively statues and enjoying the spicy taste at the tip of the tongue of Sichuan cuisine is an experience that can not be ignored when it comes to the ancient Shu Han capital.